Leonardo da Vinci once said "Simplicity is the ultimate sophistication." With that in mind, we think ol' Leo would have been a fan of the Valet Twin Torch lighter by Vertigo. The Valet packs two powerful jets into a compact metal body. An easy to use single action ignition via a button on the top of the lighter makes lighting up a breeze, a visible fuel window helps make sure you never run out of fuel, and a fold-out cigar punch on the bottom makes the valet an essential all-in-one cigar tool. Simple. Seems well constructed and will probably last quite a while. Tank is not all that large but does produce a hot, steady flame. 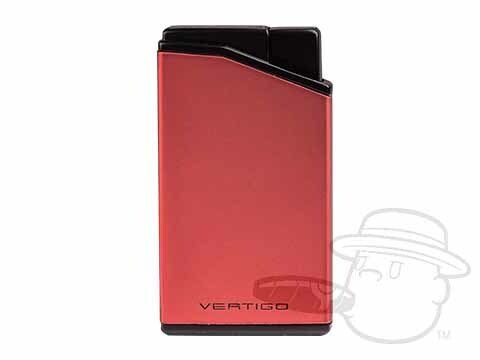 Valet Twin Torch Flame Vertigo Lighter - Red & Black is rated 5 out of 5 based on 1 customer ratings.